Playing classic table games used to be an experience that varied little from one casino to the next. Roulette, blackjack and baccarat are a few of the traditional casino games that have been played all over the world for centuries while still retaining not only their gameplay but essentially, their look and feel. While there are different rules for the numerous variants of these games that exist, anyone who has played any of them even once generally has a good idea what to expect from other versions. However, the recent arrival of themed online table games, inspired by the impressive success of themed online slots, has started to change the way we play these games. This overall trend can be argued to take some inspiration from the overall success of franchises in entertainment in recent years, which has not only brought sequels but branded merchandise and numerous officially licensed video games. The appearance on the scene of these new and interesting approaches to classic games has led to some fascinating themes appearing in many online casinos lately. So, what do these games offer? Are they a fad or do they signify the rise of a lasting new approach on the part of casinos and developers? What Are Themed Online Table Games?Although they're not found on every single online casino so they haven't become as wide-spread as themed slots yet, there are a number of different types of themes around that add a fresh twist to a well-known casino table game, often with a big brand featuring on them. Some themed slot games already come endorsed by a celebrity or a well-known brand featured heavily on the screen, and similarly, branded online table games have started popping up. In these cases, the game will usually feature images and the voice of the celebrity prominently, while there are often new mechanics introduced that follow the theme. One example is the roulette and blackjack games which feature boxing legend Mike Tyson. In Mike Tyson Roulette, for instance, there are "knockout" side bets that grant access to boxing-themed bonus rounds. Other themes we've already seen include TV shows such as the highly successful Deal or No Deal. In addition to DOND slots, there is a real-money game following the programme's format as well as Deal or No Deal roulette. You can even play roulette based on the timeless Monopoly board game. This is a way of injecting the fun and personality of a popular show into the online gaming environment. These versions add a dash of excitement to the playing of our favourite table games. Such games are a great opportunity for casinos to attract fans of the star involved, even if they perhaps arent already regular casino players. It also gives regular players the chance to enjoy a type of game that they might not otherwise be interested in. Is the Gameplay the Same? For the most part, these games are very similar in gameplay to more traditional versions. You certainly shouldnt expect to find radically different rules or set-ups than those that you are used to seeing in other titles. The overall changes are largely cosmetic in nature, with a tailored presentation that features the brand. Sometimes, the tweaks are more obvious than in others. For instance, the Mike Tyson blackjack game mentioned earlier features a King of the Ring side-bet. It also has a variety of tips from the boxer that you can access whenever you need some extra help. In the Deal or No Deal version of roulette there is a mini-game that is triggered when the ball lands on the shows symbol instead of on a number, provided that a bet has been placed on this event occurring. When this happens, the player is sent to a special bonus round that lets them play a version of the TV shows format. The Monopoly-inspired version of roulette is set up to look like a cross between both of these games. However, in reality it plays far more like traditional roulette rather than Monopoly. The main feature that links it to the property-based board game is a bonus round where you get to choose from a pile of property cards. Overall, the general rules are usually the same as in the original table game, but the added touches make it a nice change from what you are used to. The use of images and sounds from the featured brand add some sparkle to a reasonably standard sort of table game. 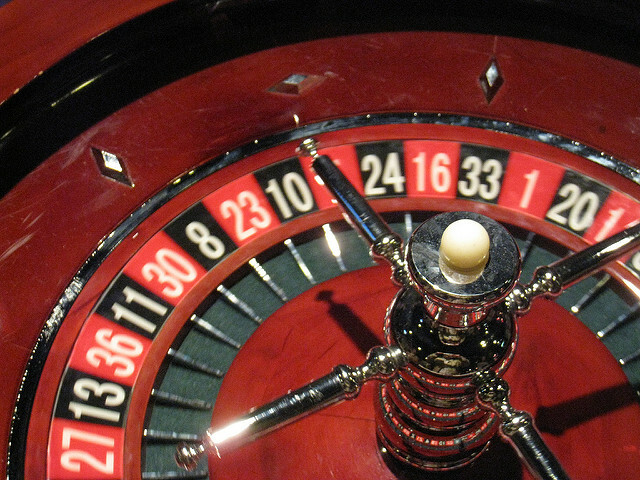 All of this means that it is easy enough to pick up these efforts if you already know the rules of roulette and how to play the game. You wont need to learn a whole new set of rules to get started, but you will have to learn the details of the bonus rounds and anything else that is different from other versions. The release of these themed table games has largely met with a positive response from the casino-playing public. It seems that there are plenty of people out there who enjoy playing fresh new casino games that bring in a new twist on a much-loved format. It isnt yet clear whether it is mainly new casino players who have been attracted to games featuring their favourite personalities and brands. Or are these more likely to be experienced casino players who like the idea of trying their favourite games with a novel twist added to them? It could be that both groups enjoy this way of playing. Once again we turn our attention to themed, branded slots an example: Before they were standard, it was assumed that they would be just a draw for new players, but it is apparent that various different types of casino fans enjoy them. Either way, themed table games are on the rise online. 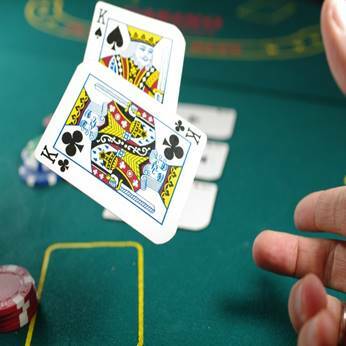 The growth of online gaming in the last few years, including in countries that are traditionally not associated with this phenomena, has led to many players trying out this way of placing wagers, and it seems as though this kind of branded table game has its fair share of fans. The success of the themed table games released so far means that it is highly likely that more of them are released out over time. At the moment, there is a relatively small selection of these games to choose from. However, it is easy to imagine that many more titles will be added to this. Now that casino operators and software developers know that players enjoy these games, it could easily be the start of a powerful new trend. There are clearly numerous brands that could be featured in table games and that would add a bit of extra pleasure to going online to gamble. Will branded table games ever reach the levels of popularity enjoyed by slot games, with regular new releases based on blockbuster movies, rock stars or other themes? Developers such as Microgaming, NetEnt and Playtech bring out new slot titles on a monthly basis, so things undoubtedly move fast in the industry. Only time will tell how many of these branded table games appear, but there appears to be enough support for themed table games to believe that we will see a lot more of them in the near future.